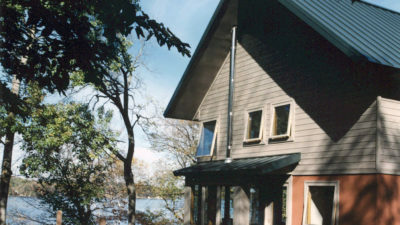 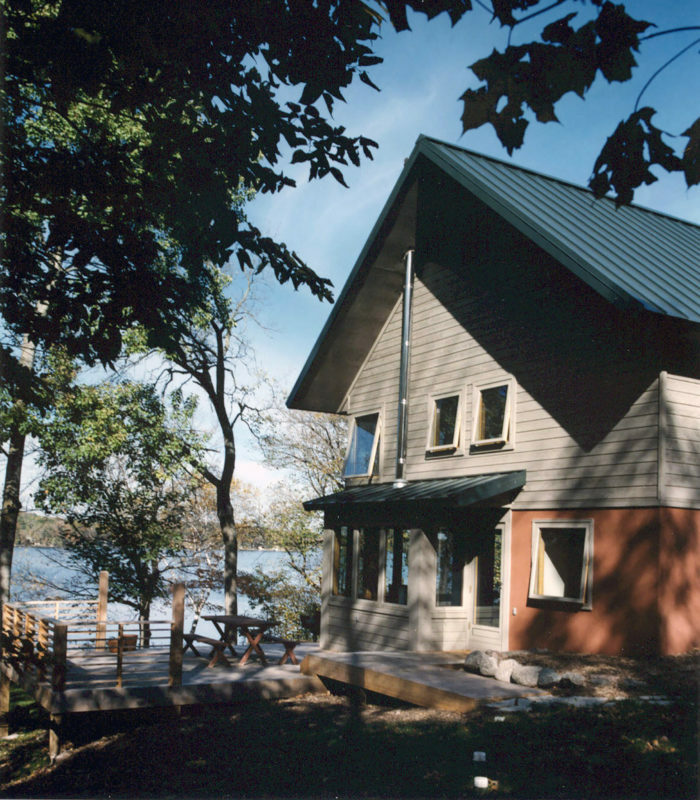 From the outside, the house is a simple form capped by a steeply-pitched metal roof. 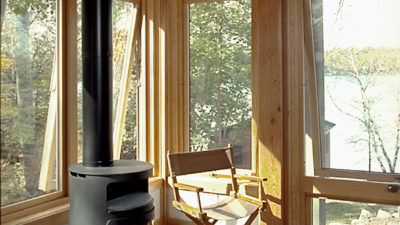 Inside, elegant complexity unfolds. 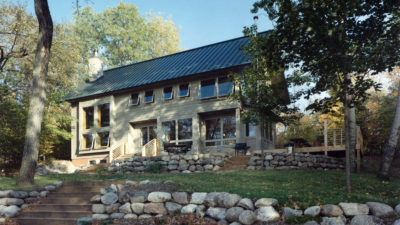 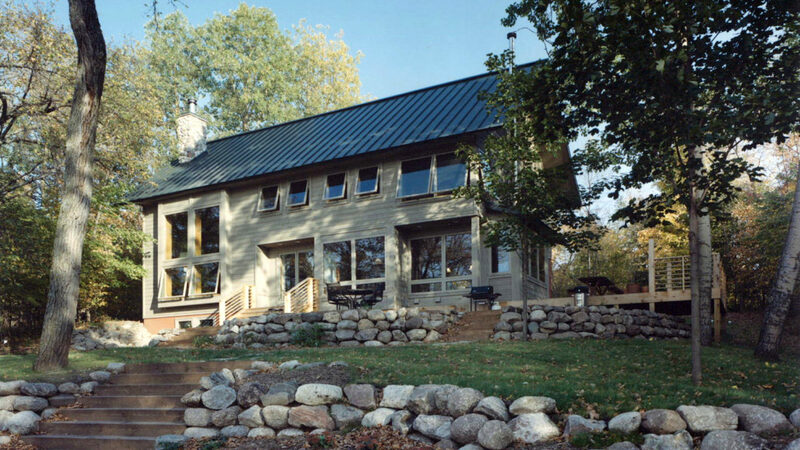 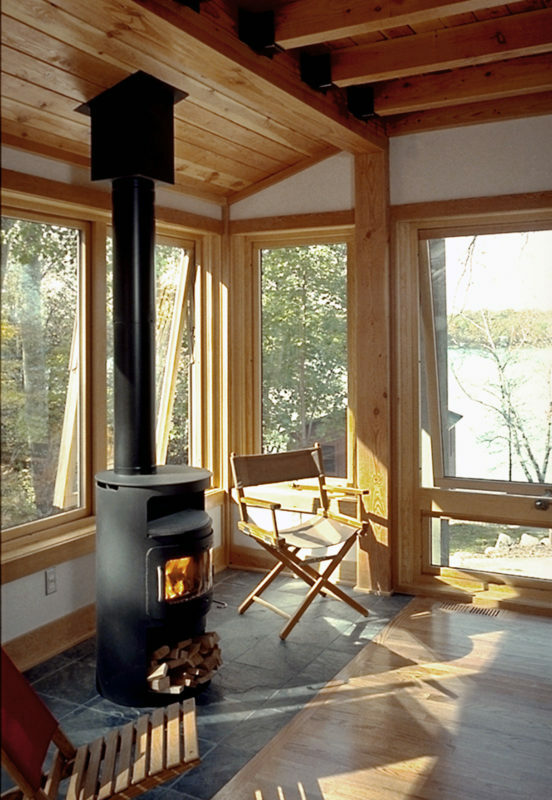 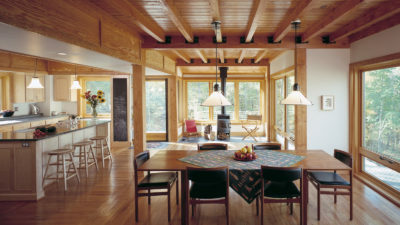 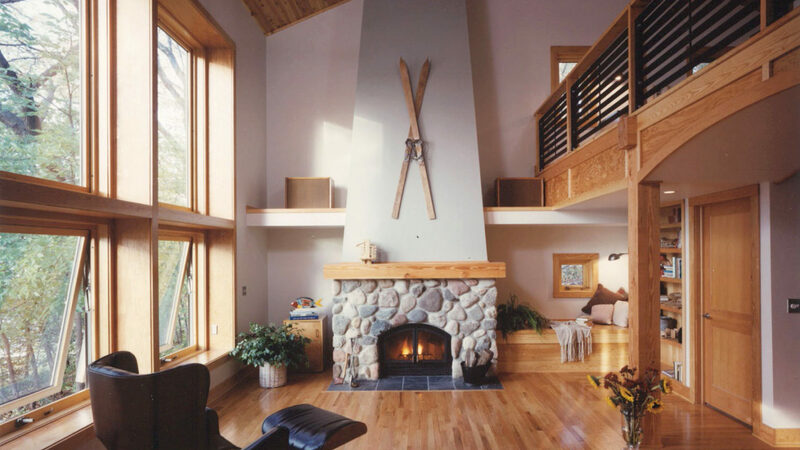 A large space with separate but open rooms is defined by a timber frame structure, and each area has an axial focus: wood stove, lake view, or stone fireplace. Exposed timber beams and pine tongue-and-groove ceiling boards salvaged from the original cabin retain a link to the past, while expansive glass captures the view and fills the space with light.